A budget reconciliation package that repeals parts of the Affordable Care Act and strips Planned Parenthood’s federal funding could be passed early this year. 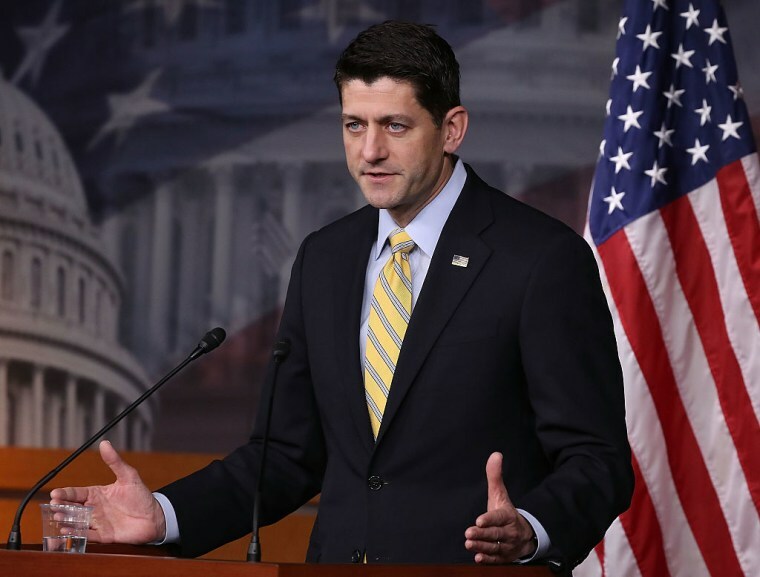 Republicans are moving forward with plans to pass a budget reconciliation package that would begin to roll back Obamacare and would also include a provision to deny federal funding to Planned Parenthood, House speaker Paul Ryan said Thursday during a press conference on Capitol Hill. The federal government has allocated funds to Planned Parenthood since the 1970s. Under the current budget, the organization receives around $500 million in a combination of federal and state funds, which are primarily used for preventive health care, birth control, STI/STD testing, pregnancy tests, breast cancer screening and other womens health care services. In a 2014 report, Planned Parenthood stated that abortions accounts for roughly 3% of the organization's services. "This is a priority for the Republicans," House Minority Leader Nancy Pelosi said Thursday afternoon. "So I just would like to speak individually to women across America: this is about respect for you, for your judgment about your personal decisions in terms of your reproductive needs, the size and timing of your family or the rest, not to be determined by the insurance company or by the Republican ideological right-wing caucus in the House of Representatives. So this is a very important occasion where we're pointing out very specifically what repeal of the (Affordable Care Act) will mean to woman."